Popcorn is definitely my go-to cinema snack. Sometime, I even combine different flavors like cheese and BBQ. This weekend, get ready for a popcorn-filled day at SM Cinema as they celebrate the beloved and classic movie snack that completes our every movie experience! 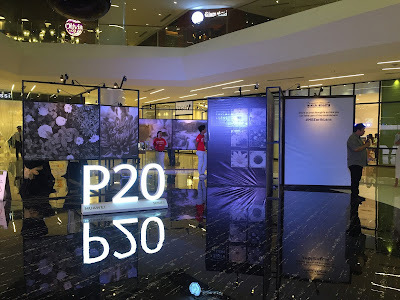 Exciting activities await at SM Megamall for those who wish to join the festivities on January 19! Challenge yourself in the popcorn eating contest or choose a team and vote for your favorite popcorn flavor. Be on the lookout as well for Snack Time’s resident mascot as Poppy the Popcorn leads the celebrations at SM Megamall and so much more. Join the festivities and show your love for popcorn in social media by using the hashtag, #InternationalPopcornDay. 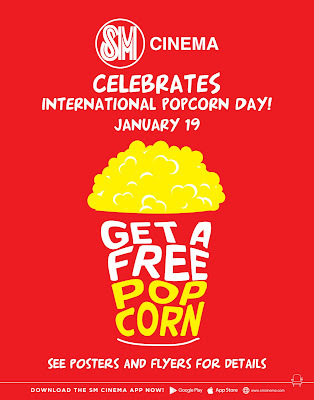 As a treat, on International Popcorn Day this Saturday, January 19, free popcorn will be given to lucky movie buyers in all SM Cinema branches nationwide. So hurry on to the nearest SM Cinema branch near you!